SRP Electric is proud to announce the title sponsorship of Central Ontario’s most celebrated showcase of companies and service providers focused on sustainable economy. In it’s 10th year the GreenUP Expo highlights the best in green products and services to consumers. This is a tremendous opportunity to market green options to thousands of eco-conscious consumers and the opportunity to learn what green products and services are available. SRP Electric is the local expert for ‘green solutions’ leading the industry with a roster of products. We are now providing and installing Electric Vehicle Charging stations, Triacta® Energy Management products/software, Nedco® Energy Saving products, and Generac® Backup generators–as part of our portfolio to help businesses in Central Ontario become more sustainable and remain competitive in the changing market. SRP Electric EVolution Drive at the 2013 Green Up Expo is a partnership with others in our community who are also committed to providing green solutions. This year we’re offering the opportunity to test drive a variety of Electric Vehicles and learn more about the practicalities and myths of owning a green vehicle. Please be sure to mark Saturday, October 19th in your calendar and join us at Landsdowne Place for an opportunity to learn about Electric Vehicles and other ways to become more energy efficient at home and at work. Rick Yates conducted a test drive with the Tesla model S at our facility here in Peterborough, and gave it a big thumps up–which effectively OKs its presence at the EVolution Drive for FREE Test rides. To be automatically entered for a chance to win the limited spots available to test rides the Tesla S–please visit the SRP Electric Contact page by clicking HERE. 1) Send in a request and choose EVolution Drive in the drop down list as inquiry of choice–also indicate if there is an EV you’d like to test drive at this event. 2) Subscribe to our mail list or recommend it to a friend–if already subscribed then you have been automatically entered into the draw. – Another great gift to win in this draw is the iPAD MINI (see below) when you subscribe to our mailing list. See contest details on the subscribe page. Rick Yates has again successfully arranged to have the Mitsubishi i-Miev available for display and–even better–free test drives. 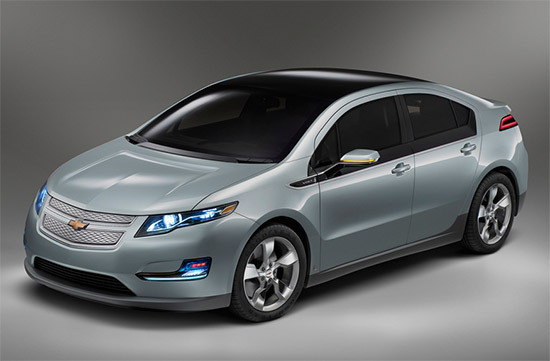 Come and get what it feels like to drive this sleek beauty of an electric vehicle! 1) A selection of Electric Vehicles for test drives. 2) A collection of our ‘green’ products on display–including our partners products. 3) Helpful and knowledgeable staff to guide you through the products and answer all your questions. 4) Electric Vehicle Charger demos will be available. 5) Resourceful packages to take home with helpful literature on all products that can help your business become more sustainable. Win a FREE iPad Mini® or a free lunch with Rick Yates when you sign up for our e-newsletter. To Sign Up — click HERE — Thanks! Why hire SRP Electric to install your Electric vehicle charging station? SRP Electric’s team combines a diverse background and years of experience with green solutions and workmanship in order to deliver prompt, efficient and professional service to its clients. 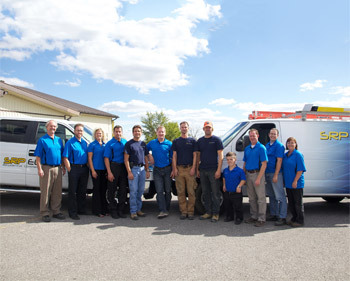 SRP Electric is Central Ontario’s choice for electrical contracting with over 20 years of exceptional customer service and has partnered with Sun Country Highway. This partnership aims to facilitate, and rapidly accelerate the adoption of electric vehicles and lower carbon emissions in the transportation sector here in Peterborough. This partnership also brings with it competitively priced advanced technology products to help drive sustainable revenues for local businesses. Local Businesses in the Peterborough and the Kawartha Lake areas looking to embrace the green initiatives sweeping Ontario today are invited to get on board. We are ready and rolling out programs to begin helping local businesses generate clients, and give their business a ‘green’ image at the same time. The number of electric vehicle owners in Ontario is rapidly growing and we have joined Sun Country’s goal to put over 1,000 chargers on-line by the end of this year. The average electric vehicle charger requires roughly 4 hours to install. Because charging costs so little, we have decided to focus on the fast Level II – 90Amp chargers that work best at hotels, malls, coffee shops, dealerships and various other places where people tend to stop for ½ hr or more and many of these places may offer the EV charging for FREE. Many treat EV charging like FREE WiFi. They want your business, so they will give you free EV charging! EV owners tend to be above income earners, are well educated and loyal customers – thus a perfect demographic to cater too! Aren’t most companies selling 30-40Amp chargers? So why are we focusing more on the 90Amp chargers? To ‘future-proof’ our network! Our partnership with Sun Country Highway which is the only company offering high speed Level II charging means faster charging and lower time spent on a single charging station in Peterborough and surroundings. Also, our vision is that more and more cars inevitably will come equipped with faster battery – energy acceptance rates (like the Teslas and the forthcoming VTrux and Toyota Rav 4), we can help reduce the charging bottleneck, and get people on their way faster. By the way, there are currently 9 EV models in the marketplace that you or I could go out and purchase today and within 12-16 months that number will mushroom to over two dozen – most or all with these with new faster battery energy acceptance rates. So that’s all well and good that you can save a lot of money by driving an EV and everybody knows EVs are great for the planet, but here is what is even cooler! Did you know that 80-90% of EV charging is actually done at home or at work! So if you buy an EV next week, you will want to hire an electrician to install a charger at your home and maybe at your place of work as well. This means jobs for local electricians in Peterborough and the Kawarthas — creating a small economic infrastructure stimulus project! Where can I buy an electric vehicle in Peterborough, ON? Dealer: Curry Chevrolet Buick GMC Ltd. located at 5065 County Road 21 Haliburton, ON K0M 1S0 — website www.currymotors.ca. Dealer: Holiday Ford Lincoln located at 1555 Lansdowne Street West, Peterborough, ON K9J 6Z3 — website www.holidayford.com. Please don’t hesitate to contact us for more information or if you have any questions! How much does it cost to replace a battery, and How long does the battery pack last? Most auto manufacturers warranty the battery for 8 years and there are even extended warranties available too. With the way battery technology is evolving, chances are very good that you will be able to get a battery for 1/3 the present cost and quite likely it will provide triple or greater range and your vehicle will be lighter weight, all providing further opportunities for savings. Note to EV owners and soon-to-be owners: Your Vehicle Acceptance Rate will determine what type of EV charging station you will choose to install at your home or business. Depending on your vehicle’s needs, some stations will be ‘overkill’ and make no difference in the time it takes to charge your vehicle (note the yellow highlights in the chart below). Other charging stations won’t be enough to charge overnight. SRP Electric will be pleased to assist you in this regard! Check the Vehicle Acceptance Rate versus the Charging Station Delivery Rate for the LCS-25. Which is lower? That will be your limiting factor. Vehicle Acceptance Rate of the Toyota Rav4 EV is 9.6 kW. The LCS-25 Delivery Rate is 4.8 kW. Use 4.8 kW because it is the lower of the two numbers (this is the maximum power the charging station can deliver to the vehicle). Divide the battery capacity by the lower number from above. Divide 41.8 kWh by 4.8 kW from above. The result is 8.71 hours to recharge the battery pack from empty to full. Check the Vehicle Acceptance Rate versus the Charging Station Delivery Rate for the CS-50. Which is lower? That will be your limiting factor. Vehicle Acceptance Rate of the Toyota Rav4 is 9.6 kW. The CS-50 Delivery Rate is 9.6 kW. Use 9.6 kW because both are the same (it is both the maximum the vehicle will draw and the maximum power the charging station is capable of delivering). Divide the battery capacity by the lowest number from above. Divide 41.8 kWh by 9.6 kW from above. The result is 4.35 hours from empty to full.